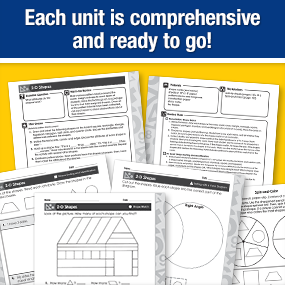 This math resource for first grade teachers provides everything you need to implement math workshop in your classroom. 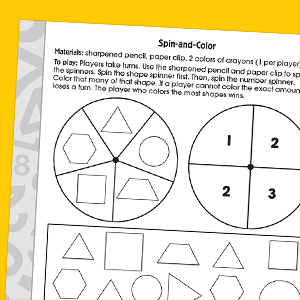 Simple and easy-to-use this teacher resource for first grade teachers complements any curriculum. The Math Workshop series for kindergarten through fifth grades gives teachers everything they need to implement the math workshop method. Each book contains 28 complete lessons a thorough introduction and reproducible game templates. 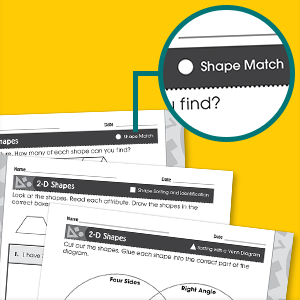 Each lesson begins with an essential question a warm-up activity and a whole-group lesson. It is followed by three leveled small-group lessons and a short assessment. Lessons are rounded out with a practice worksheet for each small group and an activity to practice the skill. Teachers are also provided with math talk questions and a math journal prompt to extend learning. The Math Workshop series gives teachers the flexible tools needed to begin small-group math instruction. 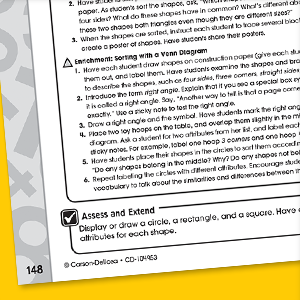 Each leveled small-group lesson comes with a targeted practice sheet. The discreet level indicators make sure students get practice at their precise level without the stigma of being in the 'low' group. Circles squares and triangles keep teachers organized and students focused on learning. The activity included with each lesson is low- or no-prep so you can spend your time teaching rather than copying laminating and cutting. 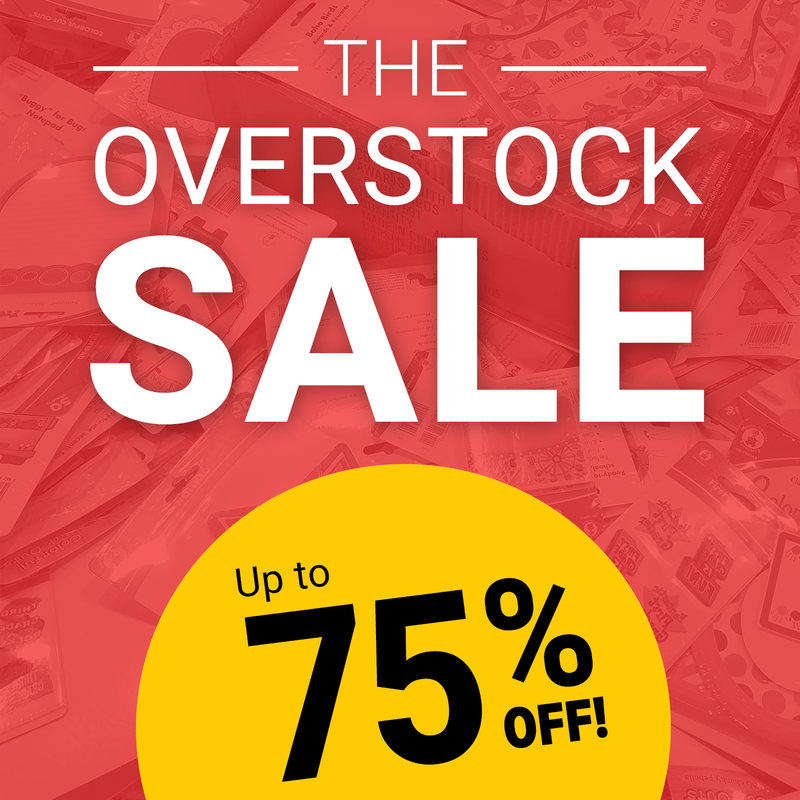 They are perfect for slipping into dry-erase pockets. Simply copy and place the activity in a center with the listed materials and your rotations for the week are done.